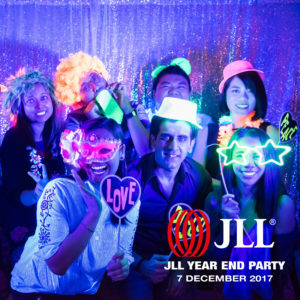 Looking for a fun and interactive way to jazz up your night event? 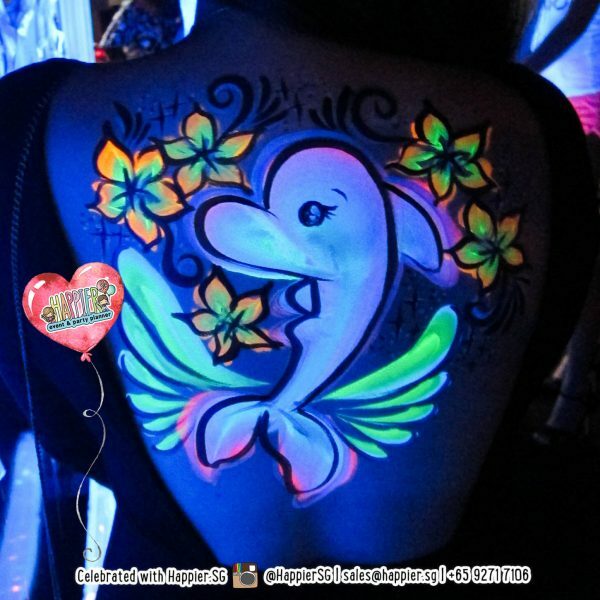 Our professional UV Glow face and body painters are highly sought for adult events at bars, clubs and D&Ds. 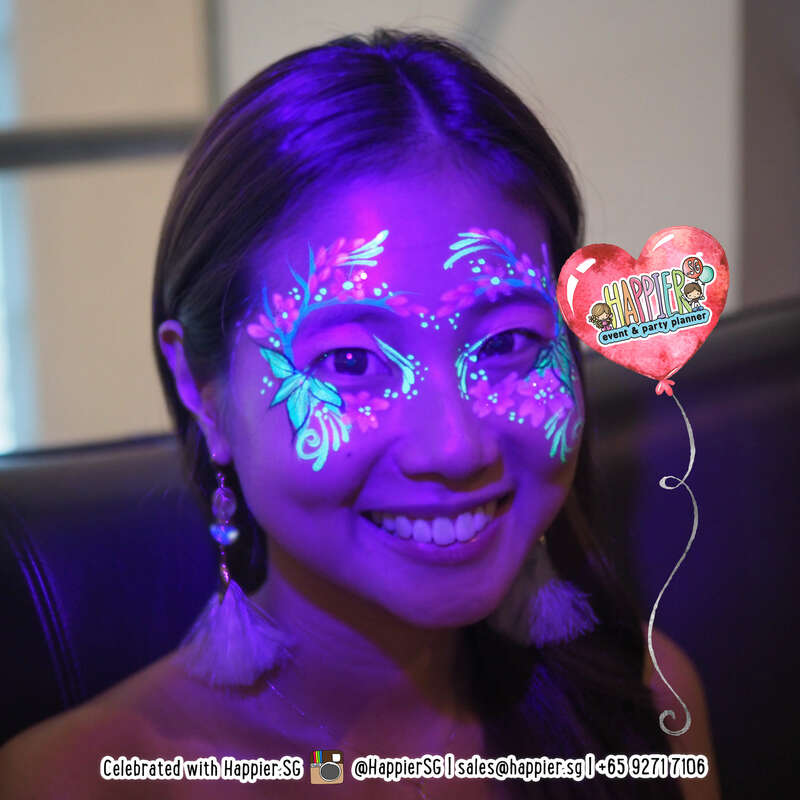 Get ready to party with a touch of psychedelic style! We have 6 other types of Glow Services to create your perfect festive after dark atmosphere! 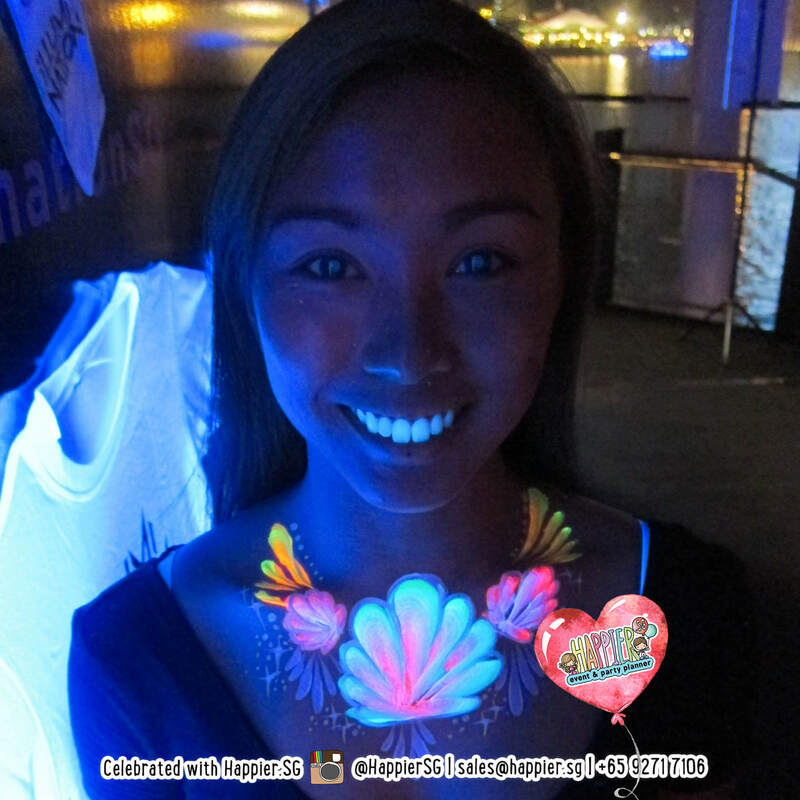 Are your UV glow face & body paintings invisible in daylight? 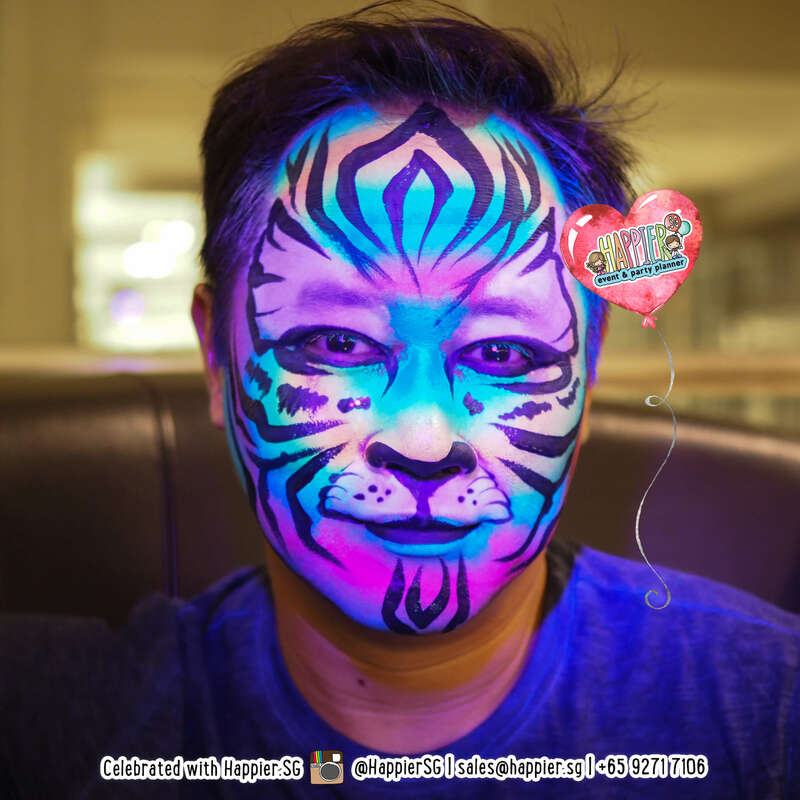 Should I hire UV glow face & body painters instead of tattoo artists? 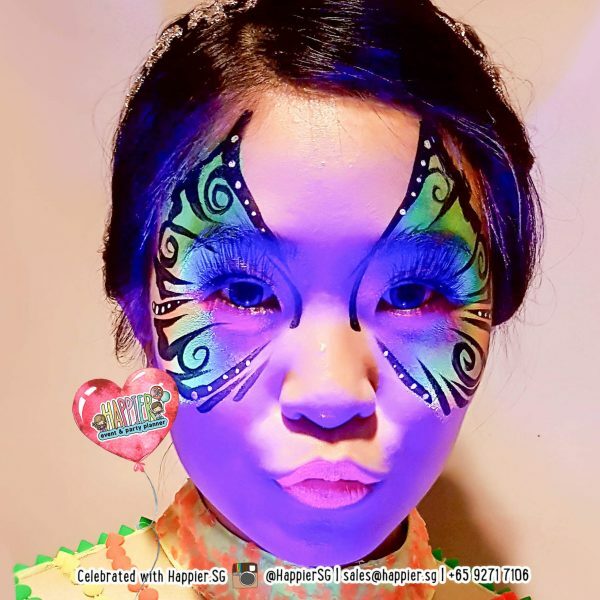 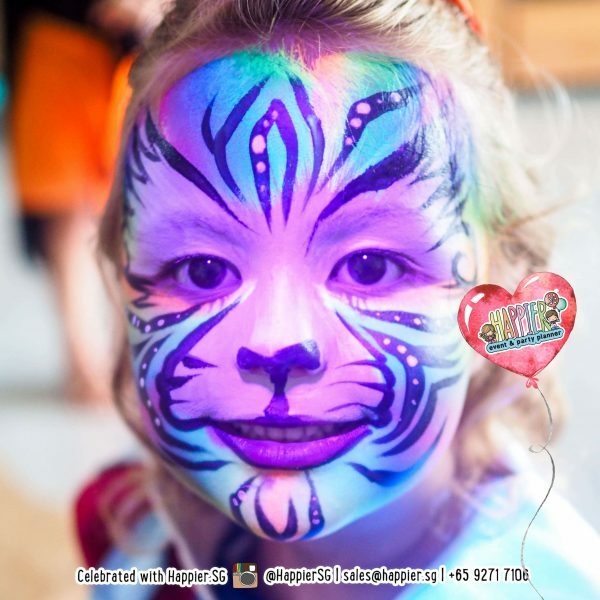 If you want the highest level of interaction with your guests, our UV glow face and body painters would be your best bet. 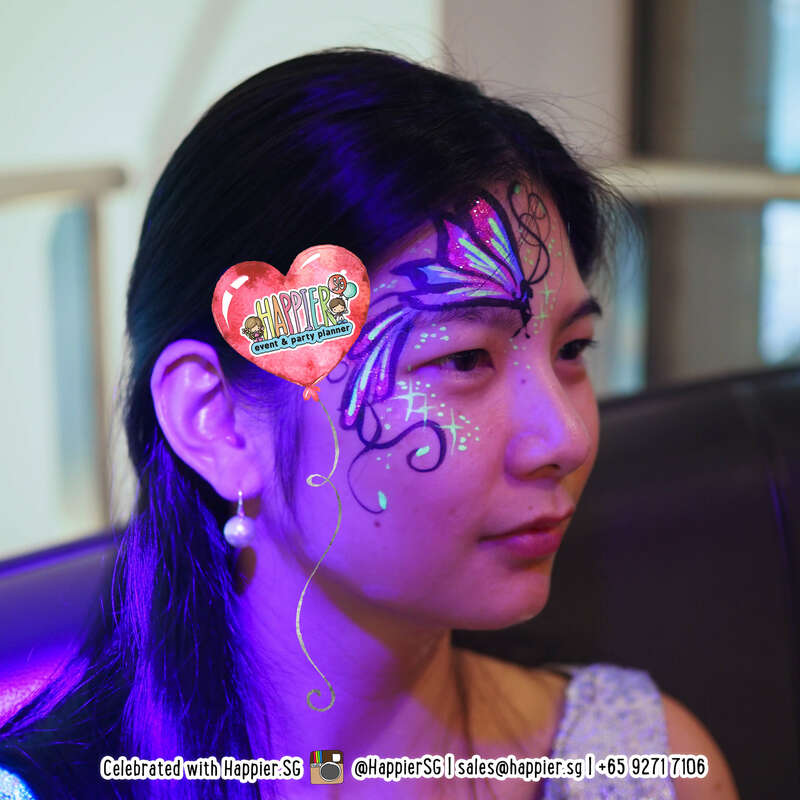 Our UV glow face & body painters paint on the designs freehand, which means we can easily customize the designs on the spot. 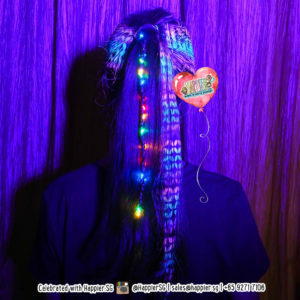 The art creation process is much more intriguing when we can transform your guests into a glow in the dark character! Are you glow-in-the-dark paints the ones we can find at the bookstore? 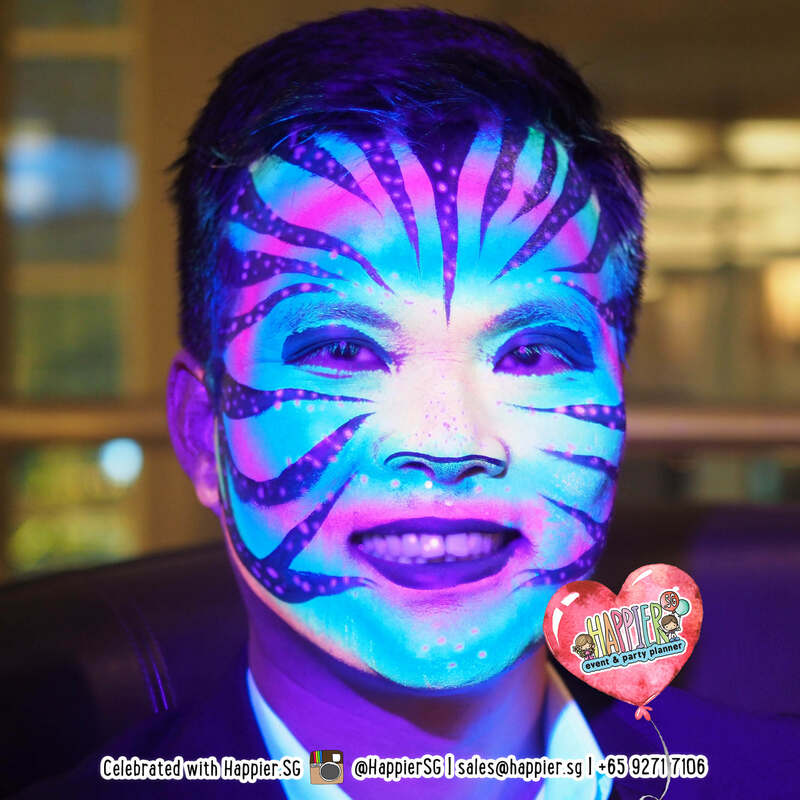 Our glow-in-the-dark face and body paints are NOT the normal glow paints from the bookstore as those are NOT suitable for use on skin. 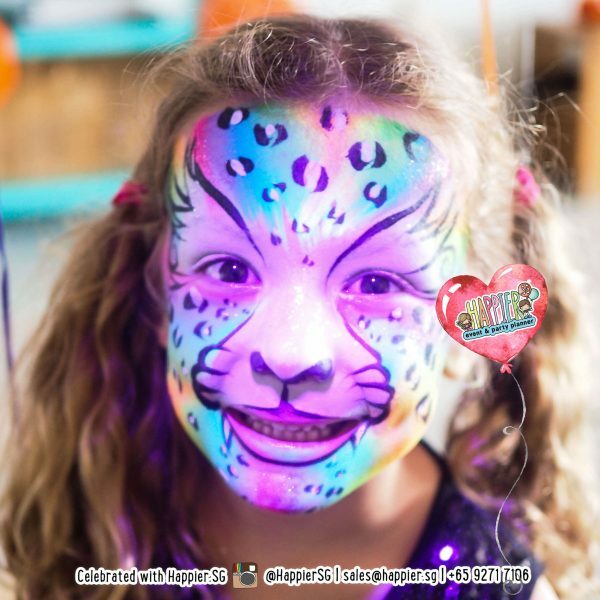 Our professional glow-in-the-dark products are water-based makeup which are non-toxic, hypoallergenic and highly pigmented to give you a super vibrant effect. 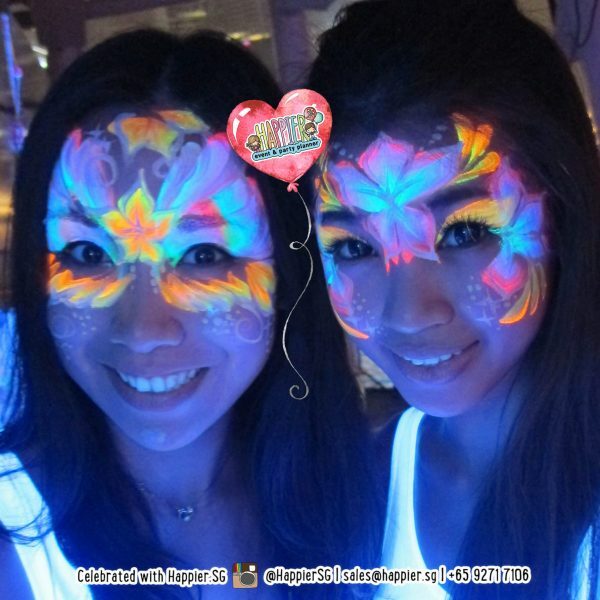 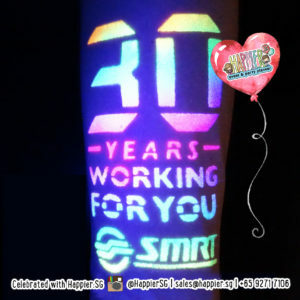 How long in advance do we have to book your UV glow face & body painting service? 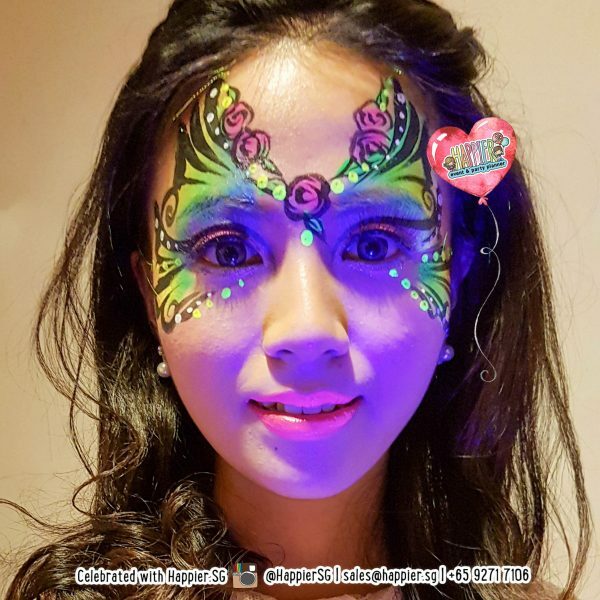 Popular glow face and body painters often have a pool of repeat customers to serve so it is always wise to give yourself AT LEAST 2 weeks especially if you are booking us for the first time. 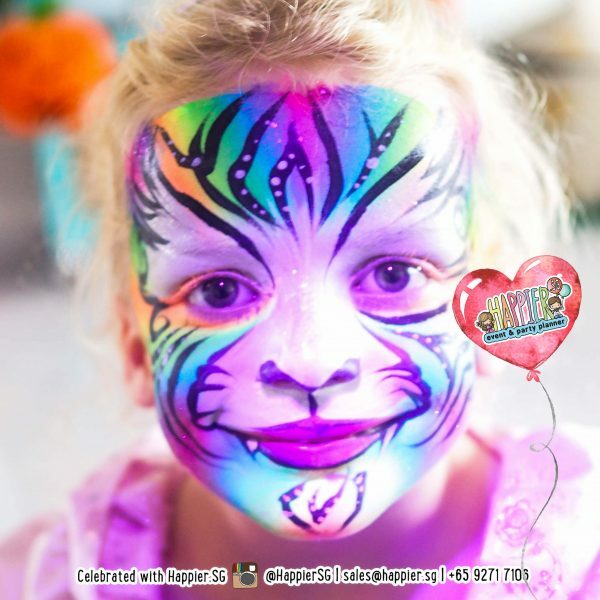 We confirm bookings on first come first serve basis upon full payment. 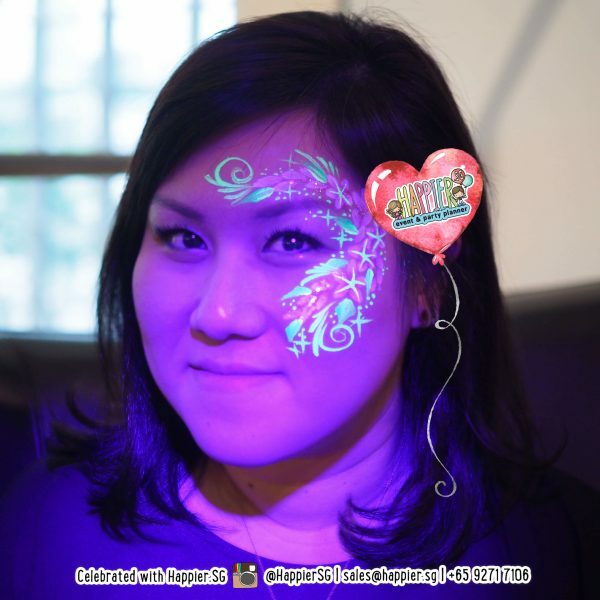 What if I have yet to finalise my party but I am really keen to book your UV glow face & body painting service?